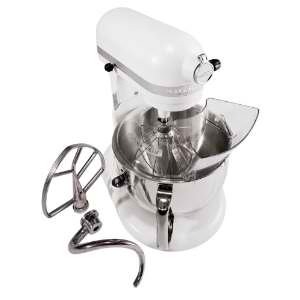 Now on Amazon get this: KitchenAid KP26M1XMR Professional 600 Series 6-Quart Stand Mixer, Meringue for $239.99 after mail-in rebate. You pay $279.99 at online check-out and get free shipping with Free Super Saver Shipping. Be sure to download the $40.00 mail-in rebate form and follow the directions as listed. After recieving your refund, the price of this kitchen item drops to $239.99.